Lipsticks and Lashes: The British Tag! 1. How many cups of tea do you have a day, and how many sugars? About 7 months ago I completely gave up coffee as was drinking an insane amount, I then began replacing this with tea so went cold turkey for a bit and gave that up too! However I love a good old cup of tea, there’s something so comforting about it, so I have started drinking it again in moderation and have no more than one cuppa a day. I don’t have any sugars but I do like a good old builder’s brew, so it needs to be quite strong and not too milky. I LOVE a good old fashioned proper roast dinner! I think my favourite part has to be the Yorkshire puddings, yes more than one, closely followed by parsnips! All time fave has to be a rich tea biscuit, but you have to quick so it doesn’t go too soggy and fall into your drink, yuck! Cream teas! So yummy or it has to be fish and chips sat along the harbour. Arse... said Father Ted style... that’s quite English right?! I had to Google this... I am useless and def not a Londoner! I love the old school British sweets, like Refreshers and flying saucers. The Queen Vic, as in the one in Albert square off Eastenders! How cool would it be to be the land lady of the Vic! Just one??! Umm the Queen followed by the Spice Girls! Does harry potter count? 10. Favourite shop and restaurant? Shops - I like Topshop & New Look at the moment, for a proper British shop though I guess id have to say Marks and Spencer's! 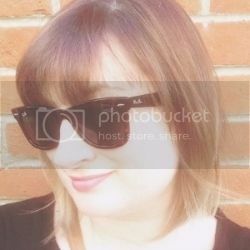 Restaurants – I like The Stables it’s a Pizza and Cider place near where I live. I am an odd one... hate it on normal bread, like it on toast... also super nice melted into plain pasta! 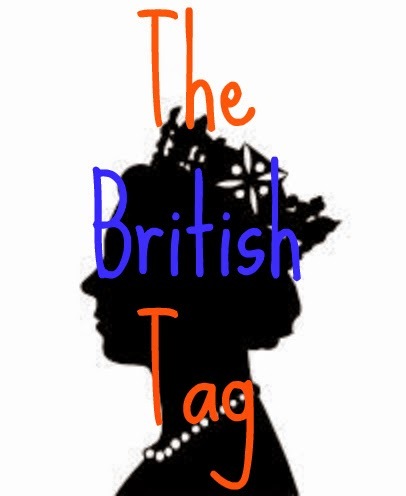 I hope you enjoyed this 'British Tag' post, I tag all of you, British or not, to give it a go! I'll defo give it a go at some point and you have to come and say hi! !